Falkenblog mentions LF in a discussion of Nazi economic productivity. This doctrine is, I’m afraid, deeply offensive to anyone on the left, but it is certainly the standard view of anyone who knows anything about Italian fascism. 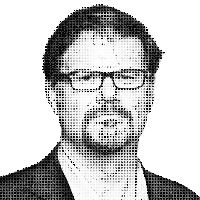 For a restatement of the general doctrine, see Jonah Goldberg. Liberal Fascism. The Republicans moved to the right during the Bush years. But more important, conservative rhetoric became increasingly intolerant, strident, extreme and unhinged; a 2008 book that un-ironically promoted Adolf Hitler as a “man of the left” vaulted up the bestseller charts, its lessons now taken as gospel by millions of conservatives. Long-ago Democratic president Woodrow Wilson, meanwhile, known to most of us as a modestly progressive idealist, is in the right-wing canon America’s first fascist ruler. I do love this. First of all, only a certain kind of self-infatuated partisan could look back on the Bush years and see it as a time when the Republican Party moved to the right (No Child Left Behind, compassionate conservatism, Medicare Part D, etc. ), while conservative rhetoric became increasingly intolerant. It’s as if ANSWER, Michael Moore, MoveOn, the lefty blogs, and Howard Dean never happened. As for Wilson, Tomasky’s argument, for want of a better word, is that the right’s view of Wilson is wrong because the conventional wisdom among “most of us” says it is. That’s even worse than his last try.